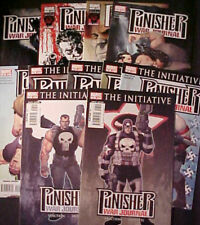 MARVEL THE PUNISHER WAR JOURNAL # 11 civil war 2007 FRACTION/OLIVETTI WANTED ! This page was last updated: 21-Apr 21:41. Number of bids and bid amounts may be slightly out of date. See each listing for international shipping options and costs.